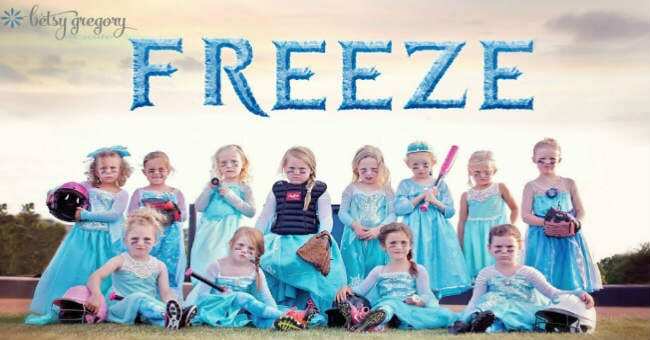 An Oklahoma photographer and t-ball mom’s team photo is going crazy viral thanks to some ingenuity and a bunch of tough princesses. 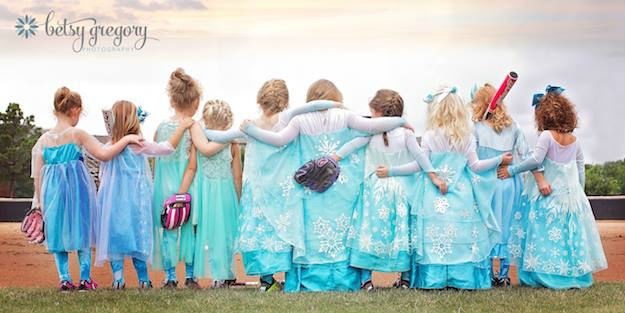 Betsy Gregory of Betsy Gregory Photography posted the Disney Frozen themed team pic on her Facebook page, and the rest is internet history. 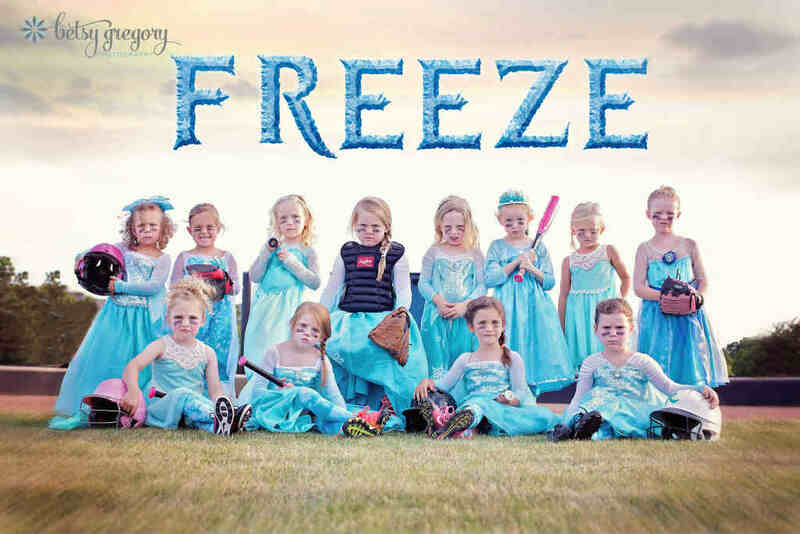 Gregory told the Huffington Post that she and some other team moms came up with the Disney Frozen theme as a way to help get their four and five-year-old daughters excited about playing t-ball this year. I’d say it worked! Not only are these sporty princesses loving bringing a little sparkle to the t-ball field, they are also having a lot of fun with their 15 minutes of fame with news stories on Today, Good Morning America, and People.com, just to name a few! Great work, Betsy and team! You’re inspiring girls everywhere to be themselves whether at home or on the field – and that tough is pretty darn beautiful. To check out more of these fabulous Frozen athletes and some wonderful photography, visit Betsy Gregory Photography at her website and Facebook page.